George A. Romero: he's more than just zombies. I know that you know that, you're savvy and learned. I'm simply pointing it out to the total horror noobs who only know Romero from his three (AND ONLY THREE) (okay, maybe Land of the Dead is kind of fun to watch once, but THAT'S IT) great zombie films: Night of the Living Dead, Dawn of the Dead, and Brunch Day of the Dead. Though the films are often overlooked, Romero has explored horror in ways far removed from those undead shuffling people-eaters. 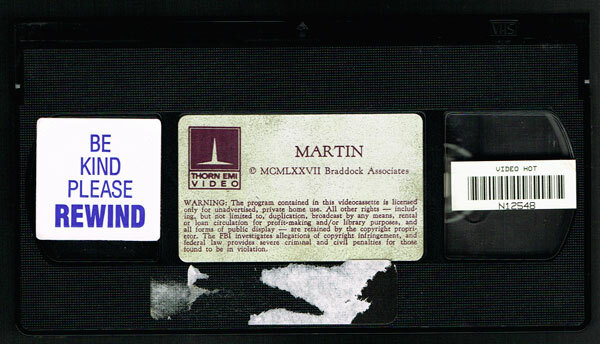 One such film is 1977's Martin. Set amidst the depressed, crumbling landscape of fading steel town Braddock, PA, Martin tells the tale of...well, of Martin (John Amplas), who believes himself to be a vampire. His elderly cousin Cuda also believes that Martin is a vampire. It's been a family curse for generations, and while Cuda allows Martin to live with him, he also makes the young man a promise: "First I will save your soul...then I will destroy you." But is Martin actually a vampire? Or is he simply a kookadook? Romero isn't interested in definitive answers as much as he is in deconstructing the vampire genre and deromanticizing the myths. 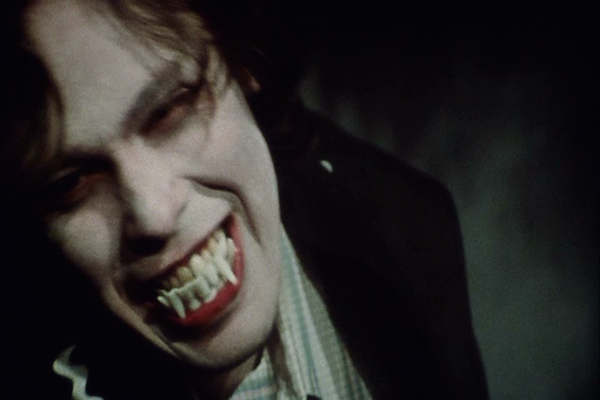 Regardless of Martin's true nature, he's no gothic-flavored bloodsucker from a Hammer production; nor is he a terrifying, otherworldly creature à la Salem's Lot's Mr. Barlow. Garlic, crosses, and sunlight give Martin no pause. He's incapable of mesmerizing victims into submission, so he relies on drug injections to do it for him. He has no fangs, so he wields a razor blade. Martin's reality is completely unlike the bodice-rippers and monsters we're accustomed to calling "vampire." Martin is rife with the same types of simple metaphors and symbolism that Romero incorporates into many of his films. It's an examination of sexual repression and insecurity as well as a swipe at religion, particularly the ways in which staunch religious beliefs can twist a person or a family. The "family curse"–what Cuda claims is the curse of Nosferatu–can be seen as any kind of "otherness" or perhaps it's merely hereditary mental illness. Aside from all of this, Martin works fairly well as a straight-up horror movie. Because the attacks rarely go as smoothly as Martin plans, they're prolonged and all the more shocking as his victims fight back. While it's easy to feel sympathy for poor, confused Martin, there's no doubt that he is a monster. Whether he's of the mythical or the mundane variety, though, that's for you to decide. Hey, I want to see Brunch of the Dead..! Poor nosferatu Martin. This movie surprised me so much because it was so pared-down and stylish. I haven't watched it since the one time because razor blades give me the screaming willies, but it's great! Yay rah Romero. I don't endorse reboots in general but this would've been fun to see a reboot of during the whole Twilight craze (that is over, right?). I love it and while it's dark and serious etc that perfect ending had me laughing for days and days.